Should You Take Calcium & Magnesium Together? Dr. Tricia Psota is a registered dietitian and nutrition expert based in Washington, D.C. She has been featured on the "Dr. Steve Show" and "RadioMD" as well as in "Consumer Reports - Health." She regularly writes health and wellness articles, has co-authored five book chapters, and has been published in top-notch, peer-reviewed scientific journals. She holds a doctorate in nutrition from the Pennsylvania State University. You need calcium and magnesium to maintain strong bones, regulate muscle and nerve function and control your blood pressure. Calcium also plays a key role in hormone and enzyme function, while magnesium helps form protein and DNA. These nutrients often work together in your body and are found together in some foods, so typically you can eat them together. However, under certain circumstances, you're better off taking them individually. Dietary supplements can interact with each other or interfere with certain medicines you take. Since magnesium competes with calcium for absorption, it may cause a calcium deficiency if your calcium levels are already low. For example, antacids containing magnesium can increase the amount of calcium you excrete in your urine. Otherwise, these two nutrients can be taken together when not exceeding the average daily recommended amounts. Both calcium and magnesium can reduce the absorption of antibiotics and medications used to treat osteoporosis, specifically bisphosphonates. Some diuretics -- medicines commonly used to treat high blood pressure, heart conditions and kidney disorders -- can either increase or decrease calcium and magnesium lost through urine. You should tell your doctor, pharmacist and other health care providers about any supplements and medicines you take so they can discuss interactions with you. They can tell you if your prescriptions, over-the-counter medicines or supplements will interfere with each other and how your body absorbs and uses nutrients. The amount of calcium and magnesium you need depends on your age and gender. Most people need between 1,000 and 1,300 milligrams of calcium each day; children, teens and the elderly are at the upper end of the range. Teens and adults need between 310 and 420 milligrams of magnesium per day. Eating a variety of foods will help meet nutrient requirements, but supplements can help fill in any gaps. If you are concerned that you are not meeting your calcium or magnesium needs, consult a health professional before taking supplements -- accidentally taking too much calcium or magnesium can have negative side effects. A well-balanced diet will provide adequate amounts of each mineral, eliminating or reducing your need for supplements. 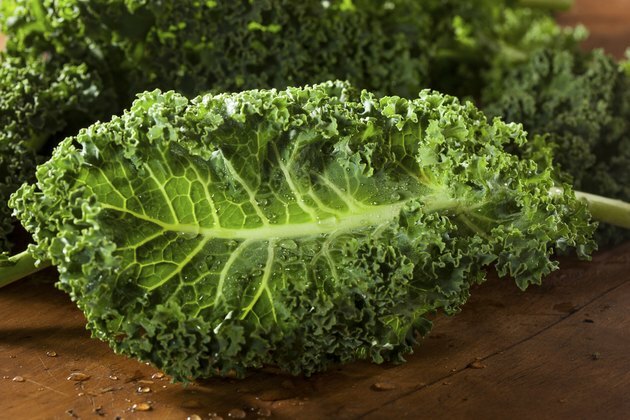 Foods rich in both calcium and magnesium include green leafy vegetables, milk, yogurt and fortified grain products. Legumes, nuts and seeds are plant-based protein sources that are rich in magnesium. Can Calcium Tablets Be Taken With Amlodipine Besylate? Can You Take Biotin & Calcium Together? Is it Medically OK to Take Folic Acid & Calcium Together?